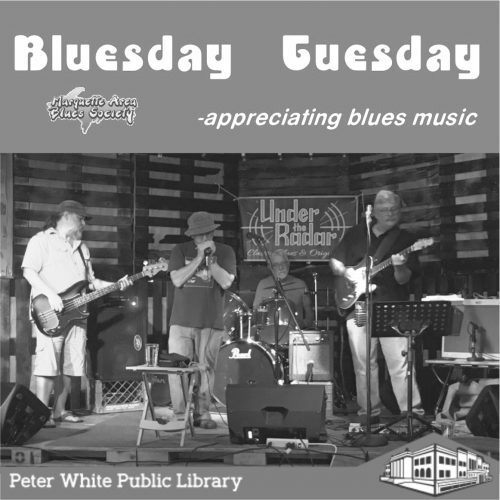 MARQUETTE — The Peter White Public Library and the Marquette Area Blues Society invite music lovers to a Blues Jam Session at 7 p.m. Nov. 28 in the Peter White Public Library’s community room, part of the monthly Bluesday Tuesday series. 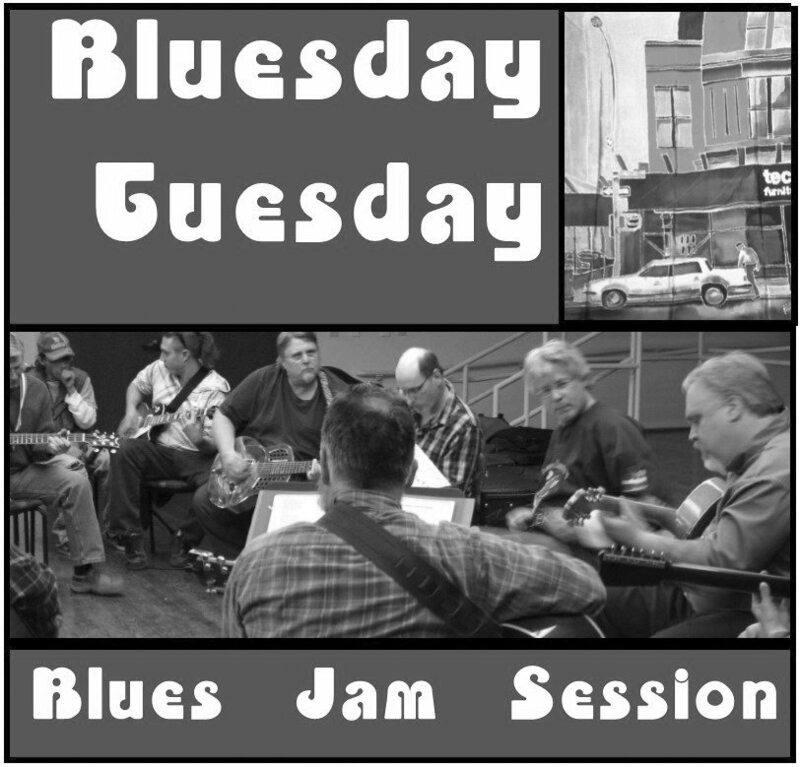 Bring your voice, guitar, harmonica, bass, trombone, trumpet, saxophone or whatever you play to jam along with other blues musicians. Learn something new or brush up on your blues style. SKANDIA — The Skandia Lions will host its third annual pancake breakfast Nov. 26 at the Skandia Township Community Center. The breakfast will take place from 9 a.m. to 1 p.m., and will include pancakes, sausage, coffee and juice. Prices are $7.50 for ages 12 and up; $5 for ages 5 to 12; and free for children under 5. MARQUETTE — U.P. District Elks Scholarship Chairman Jason Siik reminds area high school seniors that the deadline to turn in Elks Scholarship Applications is fast approaching. Again this year, the Elks National Foundation is investing in the nation’s future by awarding $3.74 million in college scholarships. The MVS scholarship is available to all high school seniors who are United States citizens. Applicants do not need to be related to a member of the Elks. Males and females compete separately, and are judged on scholarship, leadership and financial need. The Most Valuable Student scholarship will help 500 deserving students attend college. The ENF will award 20 top scholarships ranging from $20,000 to $50,000. The remaining 480 runners-up will receive $4,000 scholarships. Completed applications must be turned in online no later than Nov. 27. Each year, the Elks National Foundation and local Elk lodges provide millions of dollars in college scholarships to high school seniors like those in the community. To learn more about Elks National Foundation scholarship opportunities, Contact U.P. District Chairman U.P. District Scholarship Chairman Jason Siik; Cell: 734-890-2732. 921 Pine St., Negaunee, Michigan. 49866 or jason.siik@negauneeschools.org or visit the Elks website at www.elks.org/enf/scholars. The Elks National Foundation has also announced its 2018 Legacy Awards scholarship contest for children and grandchildren of Elks. The program, which kicked off Sept. 1, awards 400 $4,000 scholarships to children and grandchildren of Elks members. The contest is open to any high school senior who is the child or grandchild (or step-child, step-grandchild, or legal ward) of an Elk who has been a member in good standing for at least two years. Applications must be submitted online to the foundation by noon on Feb. 2. Children and grandchildren compete separately against other children and grandchildren from their sponsoring Lodge’s state. Applications must be completed and submitted online only. For more details and eligibility requirements, and to start the application process, visit www.elks.org/enf/scholars. MARQUETTE — Cold War Film Series Double Feature: “The Thing from Another World” and “The Day the Earth Stood Still” is planned for 7 p.m. Nov. 28 in Northern Michigan University’s Jamrich 1100. The event is free. Popcorn will be for sale. As part of the Beaumier U.P. Heritage Center’s exhibition on the Cold War, the center will host a film series featuring films about this tumultuous period. Each night will begin at 7 p.m. and the Beaumier Center exhibition on the Cold War will be open on these evenings until 6:45 p.m.
Each film will be presented by Beaumier Center director, Daniel Truckey, and will be followed by a discussion. MARQUETTE — Northern Michigan University will participate in Giving Tuesday on Nov. 28. The global movement follows the Black Friday and Cyber Monday major shopping events and kicks off the charitable season, when many focus on holiday and year-end giving. The NMU Foundation encourages faculty, staff, alumni and community members who have been positively impacted by Northern to consider making a financial gift. All funds will support students through enhanced learning, research, scholarship, travel opportunities and more. NMU students also have an opportunity to participate in Giving Tuesday by contributing non-perishable items to the campus food pantry, an initiative of ASNMU student government that was scheduled to open Nov. 15. Financial gifts to the NMU Foundation can be made online before or on Nov. 28 at nmu.edu/give. There will be an opportunity to track the progress of Giving Tuesday on NMU social media throughout the day. For more information, contact Andy Hill, assistant director of annual giving, at 227-2531 or anhill@nmu.edu.